Music has a magical way of bringing people together! With such a wide variety of sounds and styles, this art form is a wonderful way to provide entertainment for a community. If music is your passion, then Northern California is the perfect vacation destination for you! This area is filled with numerous performances, events, and festivals that are worth attending. One event that you can’t miss is the Strawberry Music Festival. A family-friendly camping music festival that takes place in both the fall and spring, the Strawberry Music Festival is an incredible event you won’t want to miss, so you can mark your calendar today. This beloved California event has two different dates in two different parts of the state. The spring event takes place in May and is held in Grass Valley, CA, while the fall event usually takes place in late August/early September and is held in Tuolumne, CA. The Fall Strawberry Music Festival 2017 dates are August 31st-September 4th. You’ll be thrilled by the Strawberry Music Festival lineup! You’ll be treated to the amazing music of numerous bands, each bringing their own unique style and sound. In addition to these fantastic performances, you can also enjoy a wide variety of other fun activities, such as food vendors, jam sessions, kids’ activities, and much more. Follow their Facebook page to get the latest news on their upcoming events and performers! You can conveniently purchase your music festival tickets online through their website! They are available in limited quantities, so you probably want to buy them as soon as you can. You can choose your tickets based on how many days you want to attend the festival; there are also different prices for adults, teenagers, and children. Visiting Northern California is truly an experience like none other! While you’re in the area enjoying the local events, attractions, and wineries, head to the Hotel Charlotte for some much-needed rest and relaxation. 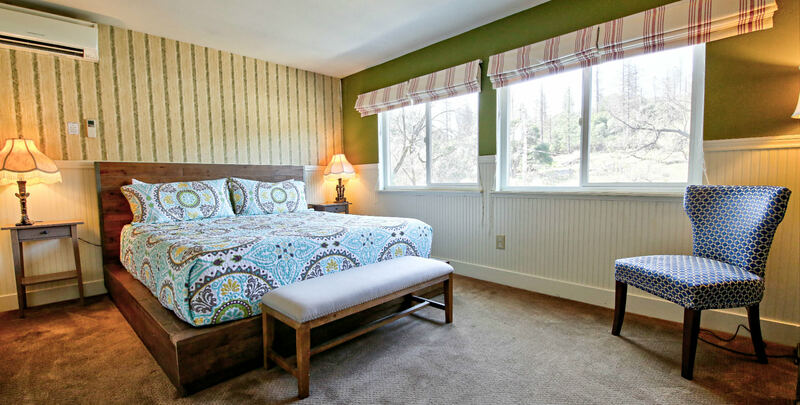 Located in Groveland, CA, right at the gateway of Yosemite National Park, our bed and breakfast is the perfect place to rest your tired feet. You can choose from staying in one of our twelve beautiful rooms or renting one of our cozy vacation rentals, (like the Lavender house pictured here), which have the perfect amount of space for families or groups. Don’t forget to dine at our Fork and Love Restaurant, which prepares some of the finest and freshest meals you’ve ever tasted. We know you’re ready to start planning your dream vacation, so check our availability and book your stay today! Discover more things to in Yosemite and its surrounding areas by downloading our FREE Vacation Guide today! This is your ultimate resource for finding the best things to do and see in our wonderful destination.